As tempting as it may be to simply open up that water valve and begin using your lawn irrigation system, it’s important that you take the proper steps first; otherwise, you could end up causing extensive damage to your pipes and other irrigation components. Opening your water main fully and allowing water to flood through your irrigation pipes uncontrolled is a surefire way to cause cracking of your irrigation lines due to high water pressure. Before preparing your sprinkler system, it’s important to consider the current temperature and weather conditions. While spring may technically be here, it seems Mother Nature doesn’t always get the memo. It is vital that the soil on your property is completely thawed before you use your irrigation system for the first time. If not, all of the water that flows through your irrigation pipes could freeze, which can cause cracked and burst pipes down the road. Once you’re confident that the soil on your property is thawed, it’s it’s time to begin refilling your irrigation system’s pipes by slowly opening the water main that is connected to your sprinkler system. The key here is to take things as slowly as possible to avoid any damage to your pipes or other components. Avoid opening up the water main entirely at first, as this can cause a large influx of water pressure to blow out pipes without allowing time for trapped air to escape. Some irrigation systems may be outfitted with pressure release valves and other mechanisms to help reduce the chances of this happening, but it’s still better to play it safe and take things slow. In most cases, you shouldn’t need to open the valve more than a quarter turn. For most irrigation systems, there will be a main irrigation line that needs to be filled before individual sections of the sprinkler system are subsequently filled. Once the primary line is filled, you can slowly begin opening up the smaller mains to each zone. Once all the mains and lines in your irrigation system are filled, it’s time to test the system. This entails taking the time to run each “zone” on your irrigation system for a few minutes at a time. Be aware that when you first turn your sprinklers on, there may be some “spurting,” bubbles, and other abnormalities as the system stabilizes, but this shouldn’t last for more than a minute or two before water begins flowing out of each sprinkler head smoothly. If everything seems to be running correctly in each zone of your sprinkler system, you should be good to go for the spring and summer months. Now may also be a good time, however, to revisit your existing sprinkler timer settings (where applicable) and create new programs to make sure your yard stays properly hydrated all spring and summer long. If you run into any issues as you attempt to get your sprinkler system ready for spring, it’s in your best interest to contact a professional. Even if you are able to successfully prepare your sprinkler system this spring, it’s never a bad idea to schedule a tune-up of your system to make sure it’s operating properly and efficiently. 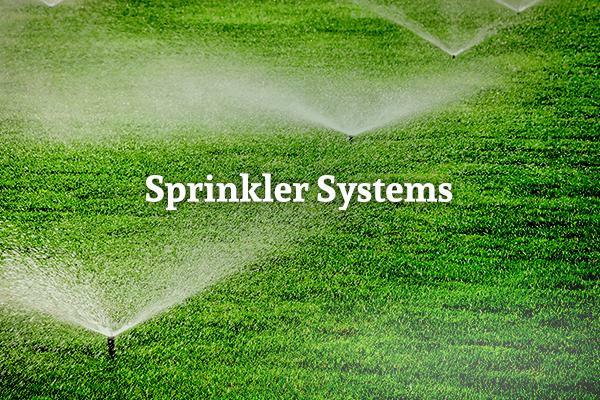 Looking for more information or assistance with sprinkler maintenance? H.E.B. Plumbing & Sprinkler is here to help. 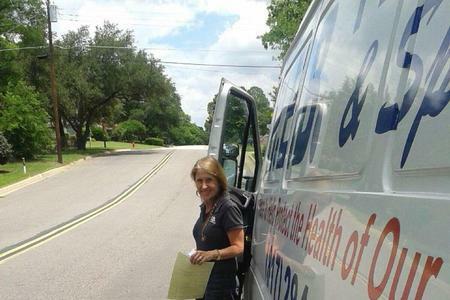 Contact Kathlyn Smith today to set up your appointment or to find out more about their many services offered in the Dallas-Fort Worth area.